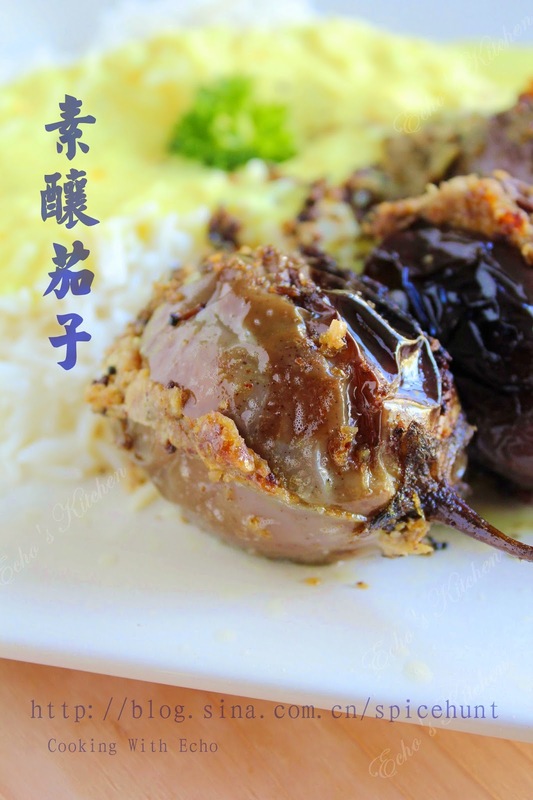 This is probably the best Eggplant dish I have ever tried, I like the taste and texture, every bit of it, and if you have never tasted this before, I said you should... really! 1. Blend together all the spices and oil (but Cummin seed and Mustard seed) into a soft paste as shown in the picture. 2. Clean the eggplant and let the stem intake, from the end, cut a cross cut on the eggplant all the way to about 2/3 of the eggplant's length. 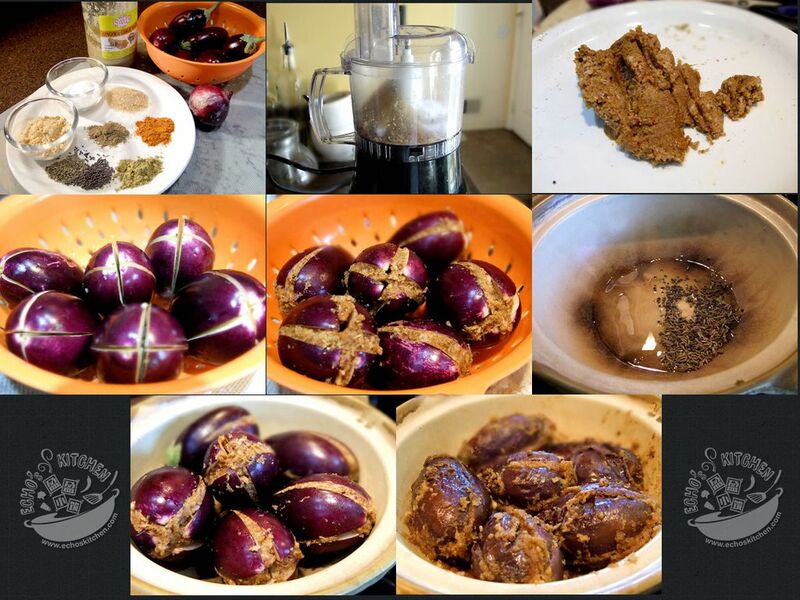 3.Stuffed the eggplant with the spices paste, and light press it together. In a cooking pot, add about 2 tbsp of oil, add in the cumin and mustard seed, when it splutter, turn the heat to low, add the eggplant in and lay them side by side, cook with the lid on, turn the eggplants carefully once or twice in between, cook until the eggplant is soft and well cooked. It shall take about 20-25 minutes. 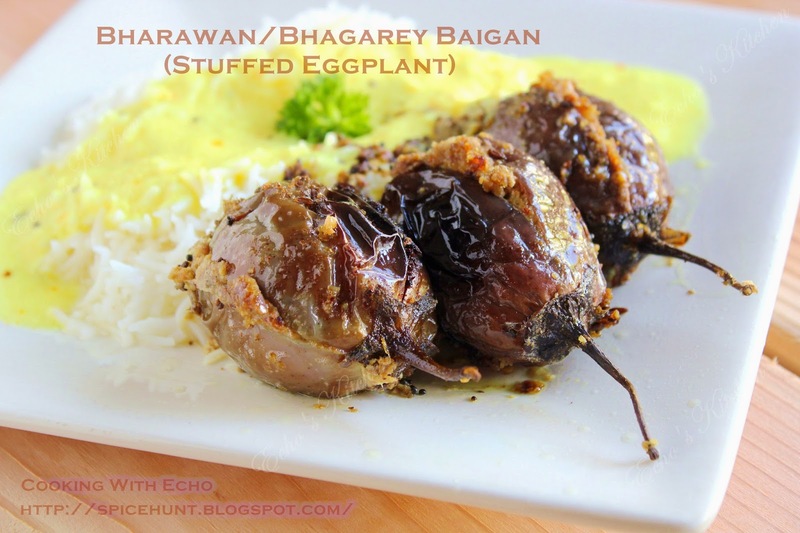 Some recipe made this with gravy, and I like it as a side dish to go with our Kadhi and rice. Thus it's dry.